Oral B Pro-Expert is overall a good toothpaste. It has some great elements to it such as cavity protection, gum protection and sensitivity. It is let down by it’s slightly high abrasiveness and higher than average cost. Overall though it would still be a good purchase for anyone looking for an all in one daily toothpaste. The Oral-B Pro-Expert Toothpaste took a whopping 15 years to develop so it must be good right? Well it certainly talks the talk just look at what it prevents against: Cavities, gum disease, plaque, sensitivity, enamel loss, Tartar, staining and bad breath. Certainly this is an impressive list of attributes but does it walk the walk? Does it actually deliver on all these promises? Let’s take the Oral-B Pro-Expert Toothpaste for a spin and find out how expert it really is. All these versions contain very similar key ingredients and are only really differentiated by the coloring that has been added and the flavoring. As a general rule, I would stay away from any toothpaste that says “white” or “whitening” on it as they tend to be more abrasive. In this article we will be reviewing the most popular version professional protection. Fluoride protects against cavities by increasing the strength of the hardest substance in the body, enamel. Enamel is mainly formed of a compound known as calcium hydroxyapatite. When fluoride is rubbed onto the teeth some of the fluoride ions replace the calcium ions resulting in a more resilient enamel. Fluoride secondly also destroys cavity forming bacteria by reducing its ability to grow. Oral-B Pro-Expert toothpaste has the maximum recommended daily concentration of fluoride 1450 parts per million (ppm) so provides maximum protection against cavities. One of the main reasons Oral-B Pro-Expert took so long to develop was because of the stannous fluoride. It is a mixture of stannous fluoride and sodium fluoride that brings the fluoride concentration up to the magical 1450ppm. Oral-B Pro-Expert contains stabilised stannous fluoride which provides protection against gum disease. 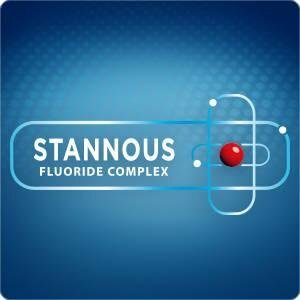 This is because stannous fluoride has antibacterial properties that help it fight against bacteria that cause gum disease. Oral-B Pro-Expert also contains polyphosphate which helps protect against formation of tartar. Although tartar does not directly cause gum disease, tartar if left on the teeth increases the likeliness of plaque formation which in turn can lead to gum disease. The Oral-B Pro-Expert toothpaste protects against gum disease by reducing the amount of plaque and tartar formation. There is some argument amongst experts as to whether Triclosan (an ingredient found in colgate total) protects against gum disease better than Stannous Fluoride. Arguments aside, the Oral-B Pro-Expert will protect against gum disease better than regular toothpastes that do not contain stannous fluoride. Dentine is found just underneath the enamel of the tooth. It contains tubes that run from the enamel to the nerve so when the enamel is removed, it allow stimulus particularly cold to travel straight to the nerve (ouch!). Stannous fluoride closes these tubes by a process known as remineralisation which blocks these tubes. Although not particularly advertised as a “sensitive” toothpaste, there is evidence that shows that stannous fluoride works as well as pottassium nitrate found in sensodyne products. If you have particularly sensitive teeth, I would trial some of the “sensitive” toothpastes that are out there such as colgate pro-sensitive relief or sensodyne repair and protect first. If those do not work then I would trial the Oral-B Pro-Expert as a back up. 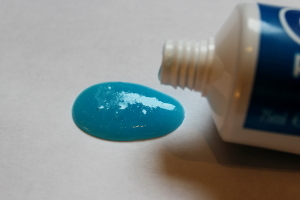 Putting the Oral-B Pro-Expert toothpaste on your finger, you can really feel a grittiness to it. This is actually crystals of sodium hexametaphosphate which are used to fight against tartar. This gritiness actually disappears after 20 to 30 seconds as the sodium hexametaphosphate dissolves. However despite this the abrasiveness score is still 117 Relative Dentine Abrasion (RDA) which puts it in the highly abrasive category. 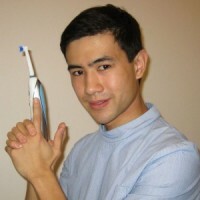 As you can see the Oral-B Pro-Expert is actually similar in abrasiveness to some whitening toothpastes. Whitening toothpastes are in general quite abrasive and should be avoided. Taste is really quite a personal thing. The Oral-B Pro-Expert is a strong minty taste that I must admit I personally really do like. The taste could almost be described as cinnamon. It is highly refreshing and smells gorgeous. My colleagues have found the taste some what strong so it is a rather mixed response. Your breath does smell wonderful afterwards and the Stannous fluoride destroys the bad-breath producing bacteria which means fresh breath for longer. At for a pack of four toothpastes, this means that they are coming in at roughly £3 each for 75ml. Using a pea sized amount of toothpaste this means that it should last around 2 months which is around 5p per day which is not an unreasonable amount. Although not extortionate, it is not the cheapest toothpaste on the market. I think it still does represent good value for money though based on the technology and development that has gone into this toothpaste. Is the Oral-B Pro Expert toothpaste a daily use toothpaste? Yes you can use the Oral-B Pro Expert toothpaste daily twice a day, morning and night. Is the Oral-B Pro Expert toothpaste safe? Yes it is safe to use if used as directed on the packaging. What is special about the Oral-B toothpaste? 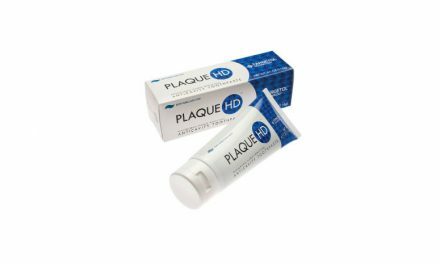 It contains stannous fluoride which can protect against gum disease, decay and hallitosis. 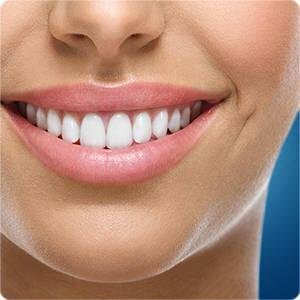 Which is better the Oral-B Pro Expert or Colgate total? This will be a matter of personal opinion. 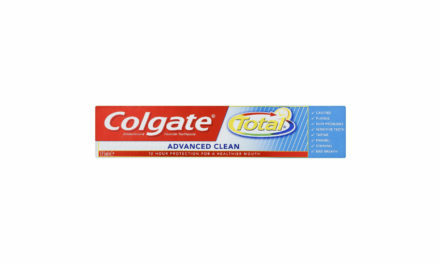 I reviewed the Colgate total here and it is a good toothpaste. Both toothpastes will provide adequate protection against decay and gums. It really depends on your point of view with triclosan and abrasion. Colgate total contains triclosan which is currently being monitored by the FDA for safety whereas Oral-B Pro Expert is more abrasive than Colgate total. Is Oral-B Pro Expert suitable for children (0-6 years old)? No this has not been designed as a children’s toothpaste. It has a strong mint flavor which may be off putting to a child and also contains 1450ppm fluoride which is too strong for most children. 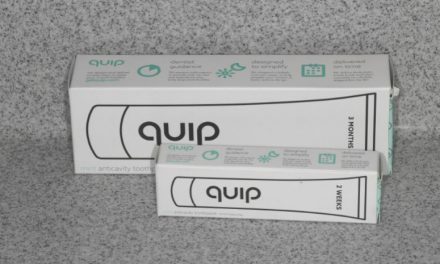 For age 7+ years old, when children start to get their adult teeth, this toothpaste is fine to use. What toothbrush should I use with the Oral-B Pro-Expert? I would advise using an electric toothbrush because it cleans 21% better than a manual toothbrush. 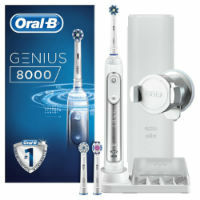 If you want to find out more about my recommended list of electric toothbrushes click here. Oral-B Pro-Expert is overall a good toothpaste. It has some great elements to it such as cavity protection, gum protection and sensitivity. It is let down by it’s slightly high abrasiveness and higher than average cost. Overall though it would still be a good purchase for anyone looking for an all in one daily toothpaste. Summary Oral B Pro-Expert is overall a good toothpaste. It has some great elements to it such as cavity protection, gum protection and sensitivity. It is let down by it's slightly high abrasiveness and higher than average cost. Overall though it would still be a good purchase for anyone looking for an all in one daily toothpaste. PreviousWhat is the best camera for dental photography 2019? Hiya! I just would like to give an enormous thumbs up for the good info you’ve got here on this post. I might be coming back to your blog for extra soon. Thank you Kiana! If you need anything else answered let me know. Thanks for the review. But how come the Enamel Loss is set to 60% while in colgate total is 90%?! Hi Saleh, not sure where you got these stats from. If you have a link I will have a look into it.